FPV racing drones have opened up new ways of looking at the world, and that includes our tallest skyscrapers. 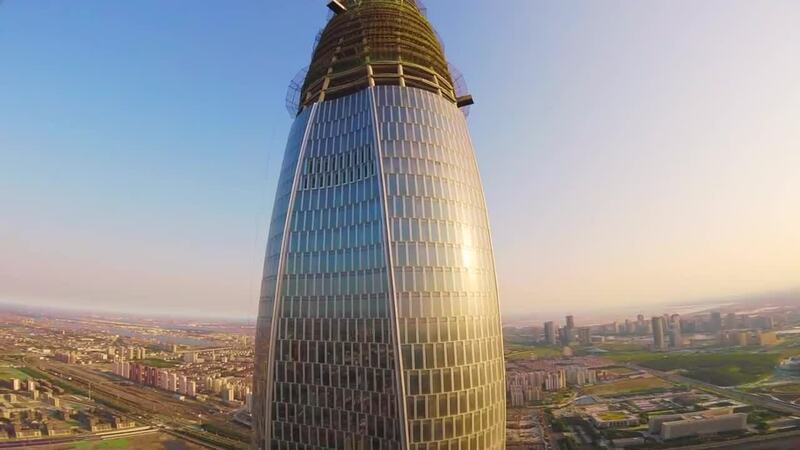 In this video, contributor and FPV pilot Radikal_FPV takes on the world's seventh tallest building (tied) as of year-end 2018. It's the Tianjin CTF Financial Center, which rises over half a kilometer (530 meters, a bit over 1.7k ft.) into the sky above the great city of Tianjin in northeastern China. The building, which was under construction at the time, was completed in 2018. Description: So recently I migrated all my quads to the crossfire... and I think I won't be looking back! And on another one of my random travels, I had a small window of opportunity to ride this building out, and I did... Tianjin 117, the second tallest building in China. Definitely one for the books for my personal FPV journey.